Did tongues and the supernatural gifts of the Holy Spirit cease in the early church? John MacArthur says they did and that practicing them today is false worship—an abomination before God. Pneuma Review invites you to respond to these criticisms and to renew the biblical command to “desire spiritual gifts” (1 Cor 14:1). In 1978, MacArthur wrote The Charismatics: A Doctrinal Perspective (Zondervan). Charismatic Chaos (Zondervan) was published in 1992. 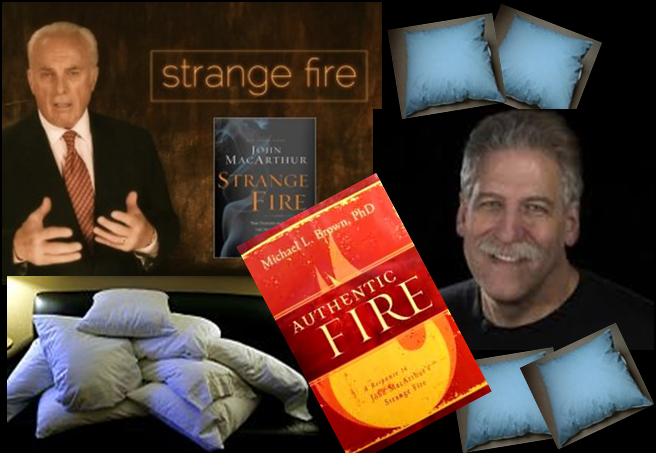 Dr. MacArthur launched his latest attacks against Pentecostal/charismatic beliefs with the Strange Fire conference (October 16-18, 2013), with speakers including Joni Eareckson-Tada and R. C. Sproul. His new book is Strange Fire: The Danger of Offending the Holy Spirit with Counterfeit Worship (Thomas Nelson), due out on November 12, 2013. Not known for a conciliatory approach, John MacArthur’s inflammatory language is sure to polarize any attempt by Christians to discuss the gifts of the Spirit. We all agree that spiritual gifts can be and have been misused. There are significant doctrinal errors and poor theology being taught by some Christian leaders today. But are all Pentecostal/charismatics worshiping God falsely? Are they believing and teaching a counterfeit Gospel? Pneuma Review has invited Pentecostal/charismatic scholars and Bible teachers from around the world to read and respond to MacArthur’s book. This is your opportunity to join the discussion about the continuation or cessation of the gifts of the Holy Spirit. Use the Comment box below so that all of us may read your posts. Please keep in mind the Pneuma Foundation’s (parent organization of Pneuma Review) principles for discussing controversial topics. When presenting teachings over which there is disagreement in the body of Christ, the Pneuma Foundation will not make its position in a manner that alienates or ignores opposing views. It is better to follow the Biblical mandate of preferring others over ourselves (Phil. 2:3-4). The Foundation desires to present the differing viewpoints and promote dialogue, acknowledging that the goal of our instruction is love (1 Tim. 1:5). For all those writing to me and claiming that Pastor MacArthur is reaching out to “faithful Pentecostals” in a conciliatory way, make no mistake about it: He renounces the entire charismatic movement as being in serious error and ends his book with a strong appeal to his reformed charismatic friends to completely renounce their beliefs in continuationism. It’s black and white, in his book, on my desk, no doubt about it. 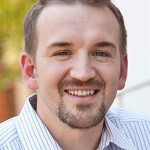 In this review essay by Rob Wilkerson, he reflects on his background as a disciple of John MacArthur, his becoming a continuationist anyway, and his look at Michael Brown’s book, Authentic Fire: A Response to John MacArthur’s Strange Fire. “Strange Fire? Not in a Global Pentecostal Context of Ministry” An international panel of ministry veterans responds to John MacArthur’s Strange Fire. 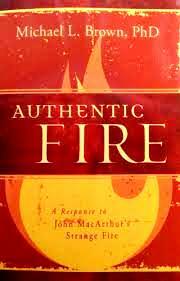 Michael L. Brown, Authentic Fire: A Response to John MacArthur’s Strange Fire (Excel Publishers, Dec 12, 2013 and re-released by Charisma House, 2015). Reviewed by: John King, Daniel Snape, Loren Sandford, and William De Arteaga. 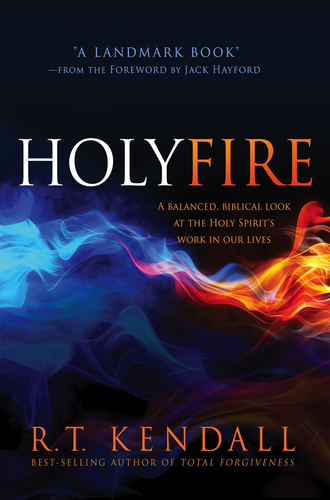 R. T. Kendall, Holy Fire: A Balanced, Biblical Look at the Holy Spirit’s Work in Our Lives (Charisma House, 2014). Reviewed by: Craig S. Keener, Tony Richie, and Mark Sandford. 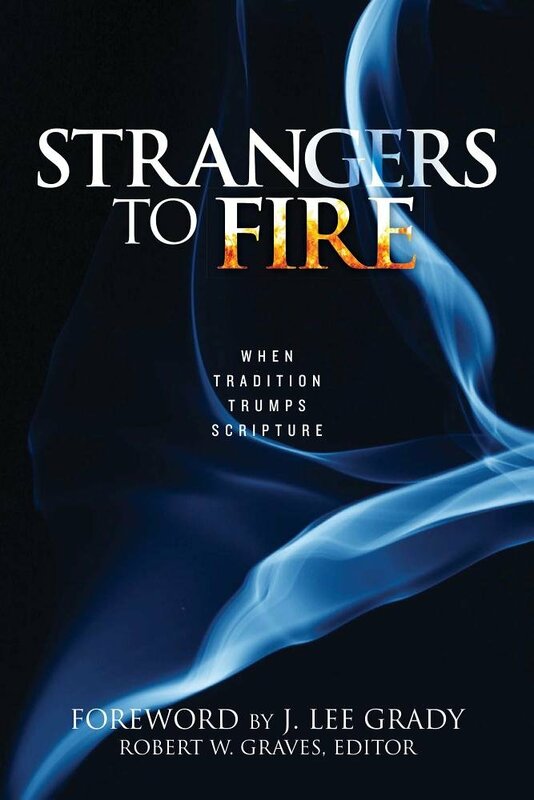 Strangers To Fire: When Tradition Trumps Scripture (The Foundation for Pentecostal Scholarship, 2014 and re-released by Empowered Life, 2016). Reviewed by: Tony Richie, John Lathrop, and further reflections by Jon Ruthven. “The Mouse Under the Elephant in Strange Fire” Rob Wilkerson responds to the article, “The Elephant in the Strange Fire” by Cameron Buettel, published on November 3, 2014 on John MacArthur’s Grace to You ministry website. 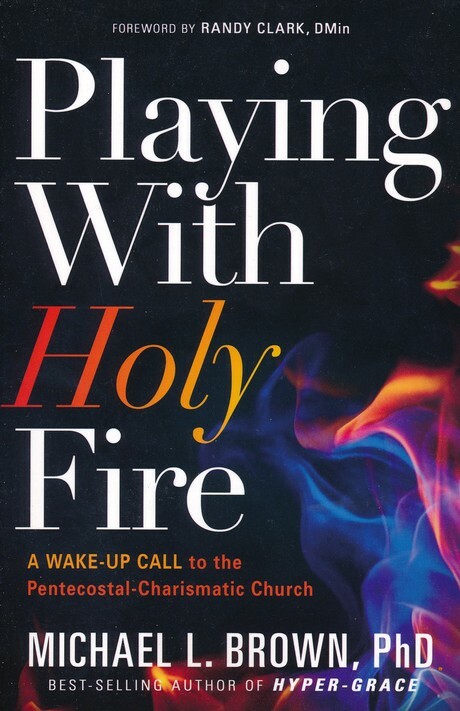 Michael L. Brown, Playing With Holy Fire: A Wake-Up Call To the Pentecostal-Charismatic Church (Charisma House, 2018). Reviewed by John Lathrop. 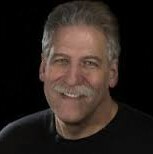 PneumaReview.com speaks with Dr. Michael L. Brown about his story, Playing With Holy Fire, and encouraging the biblical use of spiritual gifts. I find all of these “anti-John MacArthur” and “anti-Strange Fire” articles and accompanying comments interesting. Many of the Charismatics commenting on these articles blast MacArthur for being insensitive, poorly informed, ignorant, and teaching a doctrine that comes from the pit of hell. Do you folks not realize that railing against MacArthur for not agreeing with you is a case of pointing one finger at him while three fingers point back at you? How can you sit by and use inflammatory language against him while making your point that he is unloving to fellow believers? You accuse him of being divisionist, while promoting division yourselves. I am not a Charismatic in the sense that I do not speak in tongues or prophesy, or whatever. But I can say that back in 1982 when I thought I was saved (I wasn’t, but that’s another story), I was attending a Charismatic church. In that church I was taught that if you don’t speak in tongues then you’re not saved. If you don’t speak in tongues then you are not a Christian and cannot be a Christian. People would stand up and babble gibberish off and on throughout the worship services, and there would always be an interpreter there, and the interpretations were always an alleged message from God, and were always something like, “I love you my children,” or “Keep praying!” or a passage from the Bible. Were these really direct messages from God? If so, then why did God not think His Word, the Bible, was sufficient for us? So much so that He apparently had to recite to us what He had already written? I have witnessed the so-called “holy laughter” and “singing in the spirit” that are supposedly from God, but all they do is cause confusion and chaos with various church members babbling gibberish, singing gibberish, and laughing hysterically. Is God the author of confusion? This is what I have witnessed in Charismatic churches. You can tell me that John MacArthur doesn’t know what he is talking about, but my own personal experiences tell me that he knows exactly what he is talking about. I am not saying that Charismatics are not Christians, but I will state without hesitation that the so-called “manifestations” that I have witnessed in those Charismatic churches that I have gone to are clearly and obviously not supported by God’s Holy Word. The question needs to be asked, “Why would theologians WANT to believe in Cessationism?” It’s not just a theological argument – it’s about whether we want to keep the church weak and powerless or manifesting the explosive love and power of the Bible. I believe the C doctrine comes from the pit of hell to thwart God’s plan to read a great end-time harvest. As I share in my book, “CATCHING UP TO THE THIRD WORLD,” the reason Cessationism is accepted is the same basic reason scientists believe in evolution. If we accept this crazy theory, we won’t have to change the way we live. With evolution, we don’t have to believe in God or judgment and change the way we live. With Cessationism, we don’t have to change the way we do church and find out WHY we have lost the power of the early church. We can go on just being religious, having a form of godliness, but denying the power. My book, “SIGNS AND WONDERS – TO SEEK OR NOT TO SEEK,” explains why the supernatural is so important if we want to reach souls with God’s favorite method, Over 90% of all conversions in Scripture were a direct result of supernatural events. We miss out on so many opportunities without using God’s power tools. This argument is soooo old… Can’t believe that there are still people advocating it against all evidence of the contrary in present days. We’re best of not giving this any more attention. One of my favorite scriptures comes to mind: 2 Timothy 3:5 “Having a form of godliness, but denying the power thereof: from such turn away”. MacArthur’s arguements are old and have been addressed many times before. John MacArthur has been totally irrelevant to all Spirit-filled believers for many years. He is the definitive epitome of the truth that THE PERSON WITH THE EXPERIENCE IS NEVER AT THE MERCY OF THE ONE WITH NOTHING BUT AN ARGUMENT. 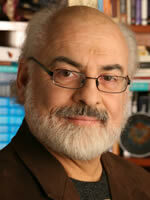 He is in serious danger of blasphemy, if in fact he has not already waded in its waters. May God have mercy on him and all who would be so spiritually naive as to follow him into the ditch of heresy. I know you have been compiling and posting Pentecostal-Charismatic reactions to MacArthur’s “Strange Fire.” I wrote the following post in regard to it. I feel sad for him as he does not understand the Gospel of Jesus Christ and how wonderful the Word of God is concerning the outpouring of the Holy Spirit in the last days. Also, Jesus’ stand on women is totally explained in Sue Hyatt’s Book, “We are Equal in the Spirit.” Religious spirits certainly do blind the eyes of many leaders and it is sad to say they create confusion in the Body of Christ. The Book of Acts is for today and a continuation of the Church of Jesus Christ. Without the Charismatic Renewal many Catholics would have not found themselves Baptized in the Holy Spirit and speaking in tongues like Jesus’ mother Mary did in the Upper Room. Come on let’s read the Word of God. We are Kings and Priests who offer up a sacrifice of Praise and Worship to the King of Kings and the Lord of Lords. Enough said…you cannot argue with someone who is not open to what God is doing today you have to pray for the eyes of their understanding to be opened to the truth. They have ears to hear and they do not hear…etc. Many of those that are defending John MacArthur’s arguments are saying that they see few continuationists making a Biblical defense of their position. Do you think this is a fair assessment? A look at the logical fallacies in MacArthur’s eight-point appeal to his continuationist “friends”. Pneuma Foundation president, Jim Dettmann, says that MacArthur certain could have found more examples of doctrinal abuses and excesses since the last time he wrote about this in the 1990s. Addressing these issues as Pentecostals and charismatics is why we started The Pneuma Foundation and our journal, Pneuma Review. If even the rocks would cry out, how dare mcauthor tell anyone, male or female, slave or free, gentile or jew to be silent anywhere. 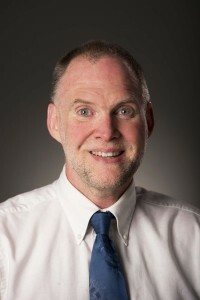 He states that the revelatory gifts of prophecy and tongues ceased when the Apostles departed, that no orthodox believer after the time of the Apostles believed they continued, and that the revival of the gifts at the beginning of the 20th century occurred among those “whose theology was by and large aberrant — and that’s an understatement” — people who did not represent biblical Christianity. He does go on to try to nuance his reply to state that continuationists within Evangelical biblical Christianity are not heretics but brothers, and point his disapproval more at the prosperity gospel and those who “depend on signs and wonders.” But his claim about those who “resurrected” the gifts of tongues and prophecy seems to throw classical Pentecostals such as A/G, CoG-Cleveland, COGIC, Foursquare, etc. under the bus. I’d like to hear others’ perceptions after listening to the segment. I was somewhat surprised at the shallowness of MacArthur’s argument. 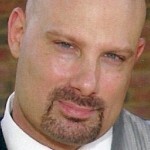 MacArthur is either unaware or purposely ignores the historical evidence for the continuation of the miraculous gifts of the Spirit as was documented in my book, “2000 Years of Charismatic Christianity.” He ignores clear statements of church fathers such as Justin Martyr, Irenaeus, Tertullian and Augustine about healings and miracles in their time. He uses Augustine’s statement about tongues being “adapted to the times” as an argument that the gifts had ceased. He ignores, however, Augustine’s later works, including “Retractions,” in which he acknowledges the ongoing miraculous work of the Spirit and tells of miracles of which he is personally aware. His Biblical argument is just as weak. I guess MacArthur spread himself all around the world and is, therefore, an expert on who holds true Gospel and who holds the false. the only way I think he can do that is to be whisked away by the Spirit like Philip…but, of course, maybe he thought he was on a plane? Actually, when applied in the international Pentecostal context of ministry, MacArthu's hypothesis fails greatly. Too bad international voices are not too well heard in modern day Pentecostalism! I guess MacArthur spread himself all around the world and is, therefore, an expert on whole holds true Gospel and who holds the false. the only way I think he can do that is to be whisked away by the Spirit like Philip…but, of course, maybe he thought he was on a plane? Bibliata TV It's a response to charismatic responses to the conference. 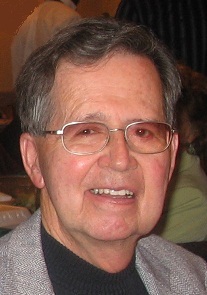 He states that the revelatory gifts of prophecy and tongues ceased when the Apostles departed, that no orthodox believer after the time of the Apostles believed they continued, and that the revival of the gifts at the beginning of the 20th century occurred among those "whose theology was by and large aberrant — and that's an understatement" — people who did not represent biblical Christianity. He does go on to try to nuance his reply to state that continuationists within Evangelical biblical Christianity are not heretics but brothers, and point his disapproval more at the prosperity gospel and those who "depend on signs and wonders." But his claim about those who "resurrected" the gifts of tongues and prophecy seems to throw classical Pentecostals such as A/G, CoG-Cleveland, COGIC, Foursquare, etc. under the bus. I'd like to hear others' perceptions after listening to the segment. 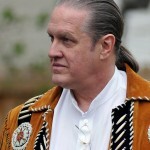 In an email received on Nov 26, MR wrote: "I am also glad to hear you are getting some international involvement on this. I am sure you will thus get some varied though needful responses to MacArthur's book from this international pool representative of the southern hemisphere. Blessed thanksgiving be yours through the Spirit of Fellowship." No, I don't think it is a fair assessment. The first thing we have to do (imo) is redefine what counts as a "biblical defense." MacArthur doesn't get to just use "biblical" as his self-reaffirming adjective. I think we have to challenge how he even uses and understands Scripture. Unfortunately, too many Pentecostals have fallen for the heresies of sola scriptura and inerrancy, leaving them wide open to the overly literal, atomistic reading of Scripture one has to do to make the sort of claim MacArthur is making. Our response should be, "You don't know the Scriptures or the power of God," but to make that stick, we have to wake up to how differently Scripture functions outside a fundamentalist framework. MacArthur's argument only holds if you buy into his heretical presupposition. Jon Ruthven If we based it truly on history, we will need to base it also on the story of 600,000+ who say they have experienced it genuinely. I’d love to pick up this topic under your review of MacArthur’s book when you've got the time! 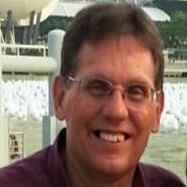 Gene Mills , thanks for your post. However, you seem to see "fundamentalism" as something negative. I also believe in the Bible as the word of God, it is my "foundation" for the revealed general will of God, but that does not make me a Cessationist. Quite contrary, the Bible (my and the cessationist foundation) says these gifts WILL continue. So let us please not wrongly frame this debate as "fundamentalism" versus "liberalism". "The cessationist and deviation of reformed theology has really divided the body of Christ even in Indonesia I already heard today that they campaign the same thing as McArthur. Why they are so blind? While they speak about the supremacy of Love, but no Love at all in what they are doing. I still think they are brother and sister, but they don't want me to be their brother. I become suspicious, may be we worship different Jesus? sad." Many of those that are defending John MacArthur's arguments are saying that they see few continuationists making a Biblical defense of their position. Do you think this is a fair assessment? 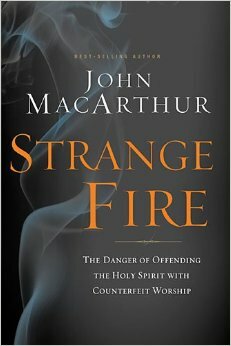 I know you have been compiling and posting Pentecostal-Charismatic reactions to MacArthur's "Strange Fire." I wrote the following post in regard to it. I feel sad for him as he does not understand the Gospel of Jesus Christ and how wonderful the Word of God is concerning the outpouring of the Holy Spirit in the last days. Also, Jesus' stand on women is totally explained in Sue Hyatt's Book, "We are Equal in the Spirit." Religious spirits certainly do blind the eyes of many leaders and it is sad to say they create confusion in the Body of Christ. The Book of Acts is for today and a continuation of the Church of Jesus Christ. Without the Charismatic Renewal many Catholics would have not found themselves Baptized in the Holy Spirit and speaking in tongues like Jesus' mother Mary did in the Upper Room. Come on let's read the Word of God. We are Kings and Priests who offer up a sacrifice of Praise and Worship to the King of Kings and the Lord of Lords. Enough said…you cannot argue with someone who is not open to what God is doing today you have to pray for the eyes of their understanding to be opened to the truth. They have ears to hear and they do not hear…etc. It would be very difficult if not impossible to base a cessationist argument on Scripture. That's the same observation I had of Warfield's *Counterfeit Miracles*. He based his entire argument on the "experience" of history, almost nothing on scripture, except to try to refute those passages used by those advocating healing. The precedent was set by his *Westminster Confession of Faith* Paragraph 1, setting out cessationism. They could only quote Hebrews 1 for support–something that had nothing to do with the cessation of the charismata! Even then, the writers of the Confession were forced by Parliament to support all their claims with scripture, because they feared (reasonably) that this group of scribes was foisting a new canon–a new Christianity–on them. Many of those "supports" were a major stretch exegetically. Surely Jon Ruthven has already accomplished this in his "The Cessation of The Charismata", this is what grieves me about MacArthur he ignores competent scholarship such as this. There are so many excellent theological works by Pentecostal/Charismatic authors but he ignores them. "If what has been offered by the two authors thus far (Hyatt and Sanford) is to be indicative of further responses it would be better off to say nothing at all. 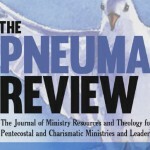 Quite frankly if Pneuma review wants to consider its self a respected academic resource for all things Pentecostal they would serve themselves and the cause better if they published articles that actually defended their position (biblically)." "^ Disagree. Keep up the good work. Loved it"
Have you read the book or are you just responding to the conference? A look at the logical fallacies in MacArthur's eight-point appeal to his continuationist "friends". I was somewhat surprised at the shallowness of MacArthur's argument. MacArthur is either unaware or purposely ignores the historical evidence for the continuation of the miraculous gifts of the Spirit as was documented in my book, "2000 Years of Charismatic Christianity." He ignores clear statements of church fathers such as Justin Martyr, Irenaeus, Tertullian and Augustine about healings and miracles in their time. He uses Augustine’s statement about tongues being “adapted to the times” as an argument that the gifts had ceased. He ignores, however, Augustine’s later works, including "Retractions," in which he acknowledges the ongoing miraculous work of the Spirit and tells of miracles of which he is personally aware. His Biblical argument is just as weak. MacArthur's arguements are old and have been addressed many times before. Christians believing that the supernatural gifts of the Holy Spirit have ceased is nothing new. But is MacArthur saying that continuationists are not Christians? "I’m sure his book will spell this out) that the charismatic movement began in earnest in 1906 at Azusa St?" Wouldn't making assumptions on what a book will assume as thesis prior to its reading (even publication) be exactly the charismatic behavior that has got us here as a movement? Strange Fire does not release from Thomas Nelson until Nov 12. The panelists that are writing for Pneuma Review have been sent pre-publication copies. But there are already numerous videos from MacArthur's conference this past week (it ran Oct 16-18). Have you, gentleman, actually read the book? Pneuma Foundation president, Jim Dettmann, adds: As someone who respects his other works, it is sad when MacArthur provokes Christians like this. All Pentecostal/charismatics are not the same. It is easy to find the excesses and the extremes. Why are thoughtful, solid continuationists ignored? You are right that this argument is old. We have been here before. Is "not giving this more attention" going to be helpful? This argument is soooo old… Can't believe that there are still people advocating it against all evidence of the contrary in present days. We're best of not giving this any more attention. One of my favorite scriptures comes to mind: 2 Timothy 3:5 "Having a form of godliness, but denying the power thereof: from such turn away". So they ended with the disciples. WHICH one, he probably thinks it was John. SO let me get this straight. John and the 12 had converts that were filled with the spirit, they had converts that were filled with the spirit, they had converts that were filled with the spirit, "THEIR children's children had converts that were filled with the spirit. THEN ALL of a sudden GOD TOOK IT FROM THEM ALL AND THEY COULD NO LONGER SPEAK IN TONGUES. John MacArthur's books are a sham written by a man that is ignorant regarding the spirit. "At one time God winked at ignorance."